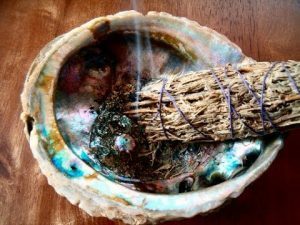 Smudging is the Native American tradition of burning certain herbs to cleanse and spiritually bless a space, person or item. 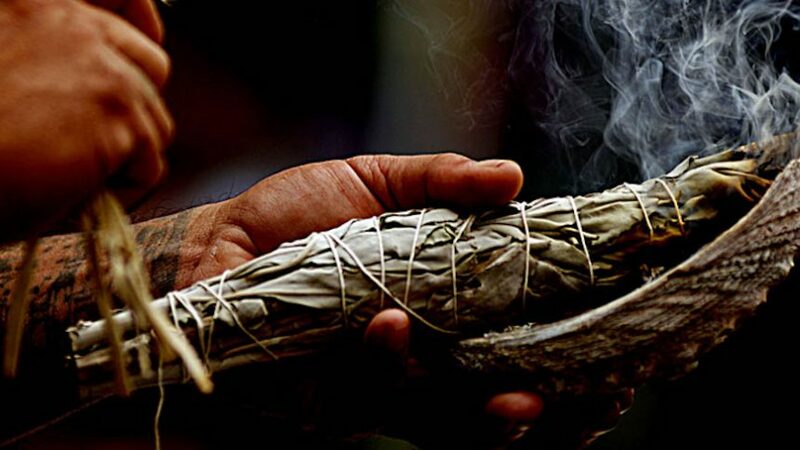 In new age philosophy smudging is performed to clear negative or unwanted energies, when moving into a new home or when preparing items for ritual or meditation use. Smudging is “doing the spiritual dishes”. Indigenous peoples the world over have burnt certain plants and resins as long as man has had fire in order to cleanse, bless spaces, honor deities etc. White Sage and Desert Sage Smudge Sticks? Our White Sage (Salvia Apiana) has broad flat leaves and is harvested in Mexico and Southern California. Our New Mexico Desert Sage (Artemesia Tridentata) is grassier looking and is gathered on tribal lands in and near Taos Pueblo. The fresh cuttings are tied and trimmed by one family in Taos. Both kinds of sage can be used for spiritual cleansing. Our desert Sage sticks also have other plants tied in with them. Cedar is used for deep cleansing. Juniper is good for extreme exorcism and grounding. Sweetgrass invites positive spirits and ancestors. Lavender instills an aura of calm and tranquility. Pinõn pine brings a fiery energy of protection. Multiple herb Smudge sticks are like “shampoo and conditioner” for your space. You cleanse with the sage and can recondition the area with the additional energies of the other plants. How often do you take a shower, Clean the kitchen or eliminate toxins from your body? We smudge our space everyday. The cleaner you become….the cleaner you will stay. When your aura is clearer you can make beneficial decisions more easily, discern helpful or harmful influences and begin to live a more peaceful positive life. 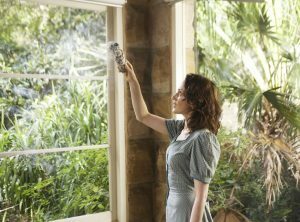 If you haven’t been taught a family or cultural tradition for space cleansing you can adopt one which feels effective or create your own. I begin at the front of the house and smudge anti-clockwise around the interior perimeter of the building. Then I follow up with dressed salt and water going clockwise and sprinkling the water to seal the space. Call upon your guardians and ancestors to ward and protect your home. In a new home some people will grid the area with crystals to create a sacred protected space. A home blessing candle is a great way to finish up your ritual and visually bring light into the home. Play music, create movement and actually physically cleaning will also assist in changing the vibe. When you bring ritual into your life you will gradually begin to notice a shift towards a lower level of stress and unrest. Your new heightened environment will not allow conflict and distress to take hold. You will feel more fully, more deeply and more truly yet with greater understanding of the interconnectedness of all things and experiences. You will choose to make connections with only the people whose energy benefits your life and you will begin to benefit those who need your help in a healthy and productive way. Smudging and Cleansing is just one aspect of creating a more spiritual life. It is the foundation of every action, the breath before every prayer.